SIKO introduced its AP10 IO-Link position indicator that can display the setpoint, actual value, and position status on the adjusting spindle to the machine operator. 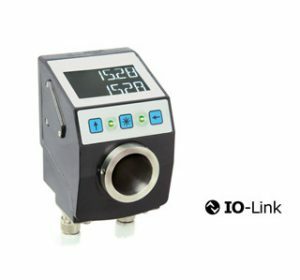 This IO-Link position indicator enables quick integration via point-to-point connection using the simplest I/O connection technology. IO-Link master islands can be used for modular networking of several AP10 position displays, reducing complexity and wiring work. The inverted backlit LCD display delivers easily legible position values, even in places that are difficult to see in or in low light conditions. The LCD is designed as a two-line six-digit 14-segment display, allowing for long adjustment tracks to be displayed with accuracy. The 14-segment display also allows for the clear display of alphanumeric characters. In addition, two bi-color status LEDs provide clear visual user guidance. These not only signal positional status (InPos or OutPos) but also indicate the required rotational direction for direct access to the desired point. The AP10 provides loop positioning to compensate for mechanical spindle play.